Get ready for a full day of sightseeing on the next day: admire the verdant scenery at Vallee de Mai Nature Reserve and then step off the mainland to explore Curieuse Island. To find more things to do, where to stay, ratings, and other tourist information, refer to the Praslin Island attractions planner. Chennai, India to Praslin Island is an approximately 10.5-hour flight. You'll gain 1 hour traveling from Chennai to Praslin Island due to the time zone difference. When traveling from Chennai in May, plan for a bit cooler days and about the same nights in Praslin Island: temperatures range from 36°C by day to 30°C at night. Finish your sightseeing early on the 3rd (Fri) so you can travel to Johannesburg. Johannesburg is known for museums, wildlife, theme parks, shopping, and zoos & aquariums. Your plan includes some of its best attractions: examine the collection at Apartheid Museum, buy something for everyone on your list at Jack Friedman Eastgate, try to win big at Montecasino, and test your team's savvy at popular escape rooms. Planning Johannesburg trip won't be overwheling when you use's Insprock itinerary maker. You can fly from Praslin Island to Johannesburg in 8 hours. Other options are to do a combination of ferry and flight; or do a combination of flight and taxi. The time zone changes from Seychelles Time (SCT) to South Africa Standard Time (SAST), which is usually a -2 hour difference. When traveling from Praslin Island in May, plan for a bit cooler days in Johannesburg, with highs around 26°C, while nights are colder with lows around 9°C. Cap off your sightseeing on the 6th (Mon) early enough to travel to Kruger National Park. Step out of Kruger National Park with an excursion to iNyoka Art Gallery in Hoedspruit--about 1h 20 min away. 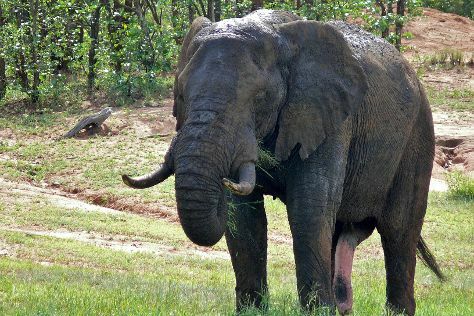 Spend the 7th (Tue) surrounded by wildlife at Game drives at Phalaborwa Gate in Kruger National Park. There's much more to do: hike along Sweni Wilderness Trail, stroll through Bushmans Trail, get outside with Wild Frontier Adventures, and explore the ancient world of Masorini Archaeological Site. For traveler tips, other places to visit, maps, and tourist information, use the Kruger National Park online vacation planner . You can do a combination of flight and taxi from Johannesburg to Kruger National Park in 5 hours. Other options are to drive; or do a combination of bus and taxi. Traveling from Johannesburg in May, expect a bit warmer with lows of 15°C in Kruger National Park. Finish up your sightseeing early on the 10th (Fri) so you can travel to Cape Town. Cape Town is known for nature, parks, beaches, shopping, and museums. Your plan includes some of its best attractions: tour the pleasant surroundings at Cape of Good Hope, head off the coast to Robben Island Museum, admire all the interesting features of Victoria & Alfred Waterfront, and enjoy the sand and surf at Clifton Beaches. For maps, where to stay, traveler tips, and tourist information, read Cape Town tour itinerary planner. Getting from Kruger National Park to Cape Town by combination of taxi and flight takes about 7 hours. Other options: do a combination of taxi, bus, and flight; or drive. While traveling from Kruger National Park, expect a bit cooler days and about the same nights in Cape Town, ranging from highs of 24°C to lows of 12°C. Cap off your sightseeing on the 14th (Tue) early enough to travel to Victoria Falls. 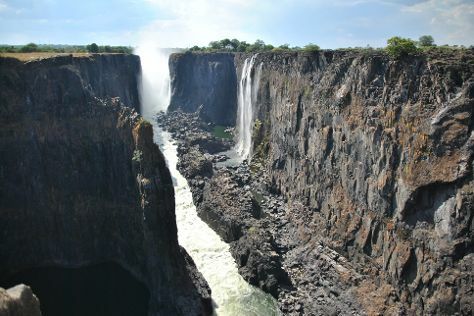 Victoria Falls is known for nature, adventure, wildlife, zoos & aquariums, and shopping. Your plan includes some of its best attractions: take in the dramatic scenery at Mosi-oa-Tunya / Victoria Falls National Park, see the world from above with a helicopter tour, take in the exciting artwork at Prime Art Gallery, and look for gifts at Cultural Vibes Music Shop. To find ratings, traveler tips, and tourist information, you can read our Victoria Falls trip builder tool . You can fly from Cape Town to Victoria Falls in 4 hours. Other options are to do a combination of flight and car; or drive. When traveling from Cape Town in May, plan for somewhat warmer days in Victoria Falls, with highs around 32°C, while nights are about the same with lows around 13°C. Cap off your sightseeing on the 17th (Fri) early enough to travel to Ngorongoro Conservation Area. 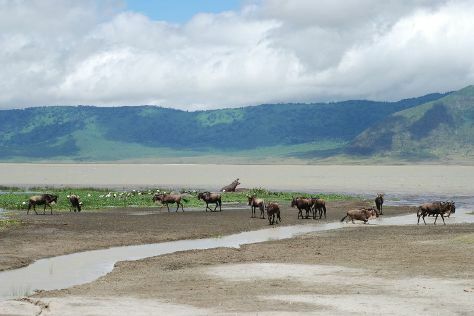 Start off your visit on the 18th (Sat): explore the striking landscape at Ngorongoro Crater. To see more things to do, traveler tips, reviews, and tourist information, refer to the Ngorongoro Conservation Area trip planner . Traveling by combination of flight and car from Victoria Falls to Ngorongoro Conservation Area takes 12 hours. Alternatively, you can do a combination of car and flight; or drive. The time zone changes from Central African Time (CAT) to Eastern African Time (EAT), which is usually a 1 hour difference. Finish up your sightseeing early on the 18th (Sat) so you can travel to Marrakech. Start off your visit on the 19th (Sun): identify plant and animal life at Mara Triangle. On your second day here, take an exotic tour of a safari tour. To find maps, reviews, where to stay, and tourist information, use the Maasai Mara National Reserve online vacation planner . 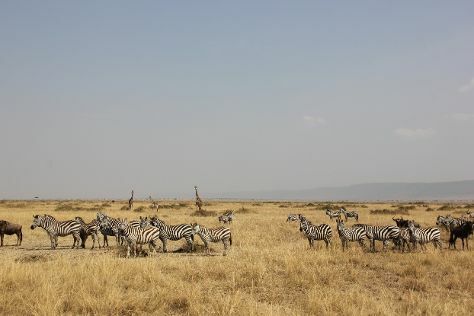 Getting from Ngorongoro Conservation Area to Maasai Mara National Reserve by car takes about 9 hours. On the 20th (Mon), wrap the sightseeing up by early afternoon so you can travel to Marrakech. Marrakech is known for parks, shopping, historic sites, spas, and museums. Your plan includes some of its best attractions: admire the natural beauty at Jardin Majorelle, appreciate the extensive heritage of Menara Gardens and Pavilion, browse the eclectic array of goods at Jemaa el-Fnaa, and take in the spiritual surroundings of Koutoubia Mosque and Minaret. Plan my day in Marrakech using traveler tips and tourist information provided by Inspirock. Traveling by combination of car and flight from Maasai Mara National Reserve to Marrakech takes 27 hours. The time zone difference moving from Eastern African Time to Western European Time is minus 3 hours. In May, plan for daily highs up to 35°C, and evening lows to 18°C. Cap off your sightseeing on the 24th (Fri) early enough to travel to Cairo. Explore the numerous day-trip ideas around Cairo: Giza (Pyramids of Giza & Great Sphinx). Spend the 28th (Tue) behind the viewfinder with an inspiring photography tour. There's lots more to do: steep yourself in history at Saqqara (Sakkara) Pyramids, admire the landmark architecture of Hanging Church (El Muallaqa, Sitt Mariam, St Mary), see the interesting displays at Egyptian Antiquities Museum, and wander the streets of Islamic Cairo. For traveler tips, where to stay, and tourist information, read our Cairo trip planner . Traveling by flight from Marrakech to Cairo takes 9.5 hours. Alternatively, you can do a combination of shuttle and flight. You'll lose 2 hours traveling from Marrakech to Cairo due to the time zone difference. Traveling from Marrakech in May, plan for somewhat warmer nights in Cairo, with lows around 24°C. Wrap up your sightseeing on the 28th (Tue) to allow time to travel to Luxor. Luxor is known for historic sites, museums, shopping, parks, and adventure. Your plan includes some of its best attractions: delve into the distant past at Temple of Karnak, appreciate the extensive heritage of Avenue of Sphinxes, enjoy unforgettable views with a balloon tour, and explore the different monuments and memorials at Valley of the Kings. To find reviews, ratings, other places to visit, and more tourist information, read Luxor trip planning app . Traveling by flight from Cairo to Luxor takes 3 hours. Alternatively, you can drive; or take a bus. When traveling from Cairo in May, plan for somewhat warmer days in Luxor, with highs around 45°C, while nights are about the same with lows around 26°C. Finish your sightseeing early on the 31st (Fri) to allow enough time to travel back home.